Kindred Healthcare and the University of California at Davis formed a joint venture to operate a 40-bed rehabilitation hospital on the university's campus in Sacramento, the organizations announced Wednesday. Kindred will manage day-to-day operations of the hospital, which will treat patients recovering from conditions such as stroke, traumatic brain injury and spinal cord injury. The organizations expect the hospital to open by the third quarter of 2020, following the customary approval process. "We are confident that our partnership to build and operate this new facility with UC Davis Health will address the growing need for inpatient rehabilitation services in the Sacramento and Northern California area," Jason Zachariah, president of Kindred Rehabilitation Services, said in a statement. More providers are partnering with academic medical centers, in part to provide a stable pipeline of qualified workers amid ongoing physician, nursing and home health aide shortages. One of the fastest-growing sectors across industries is healthcare practitioners, including home health aides, physician assistants and nurse practitioners, which is projected to increase 15.2% from 2016 to 2026, according to the Bureau of Labor Statistics. But there are not enough workers to fulfill that demand. 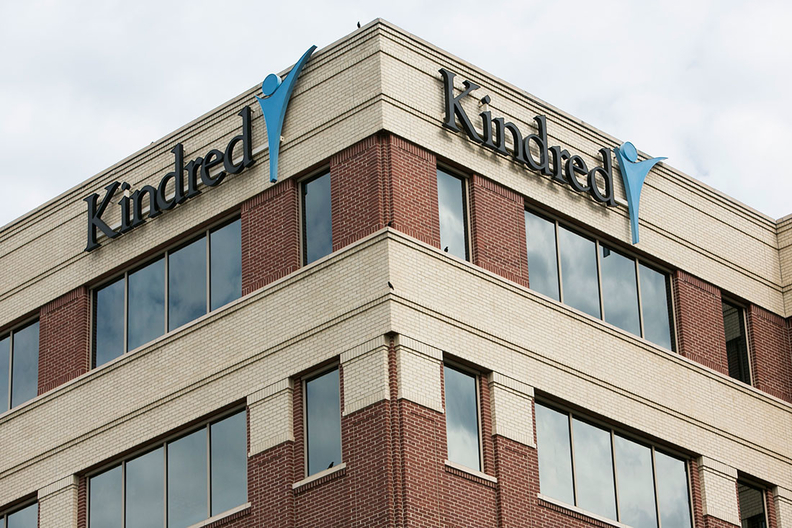 Kindred is one of the largest post-acute providers in the country, with about $3.4 billion in annual revenue. The Louisville, Ky.-based provider has more than 38,000 employees providing healthcare services in 1,795 locations in 45 states, including 75 long-term acute-care hospitals, 22 inpatient rehabilitation hospitals, 12 sub-acute units and 98 hospital-based inpatient rehabilitation units. Kindred was recently acquired by health insurer Humana and two private equity companies for $4.1 billion in July, splitting the organization into two companies separated between its long-term care hospitals and inpatient rehab facilities, and its home health, hospice, and community care businesses. UC Davis Health includes a 619-bed acute-care teaching hospital, a 1,000-member physician's practice group and the Moore School of Nursing. It is home to a cancer center, an international neurodevelopmental institute, a stem cell institute and a children's hospital. The rehabilitation hospital is part of UC Davis Health's new Aggie Square, a technology and innovation hub, which may also include an incubator or accelerator space, collaborative research space, academic programs, housing, retail, and art and music venues.